The Targeted Grant to Institutes of Simons Foundation is administered at IMPAN (Institute of Mathematics of the Polish Academy of Sciences). Also IMPAN provides further financial support for the activity. 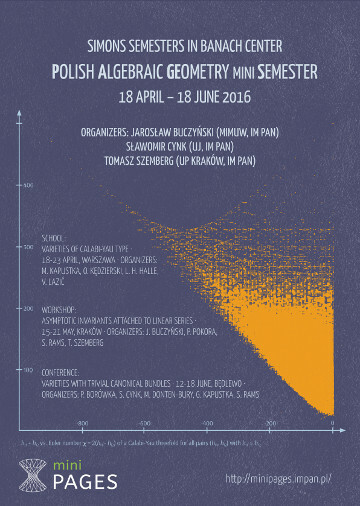 Supplementary funding is provided by Polish Ministry of Science and Higher Education (MNiSW).